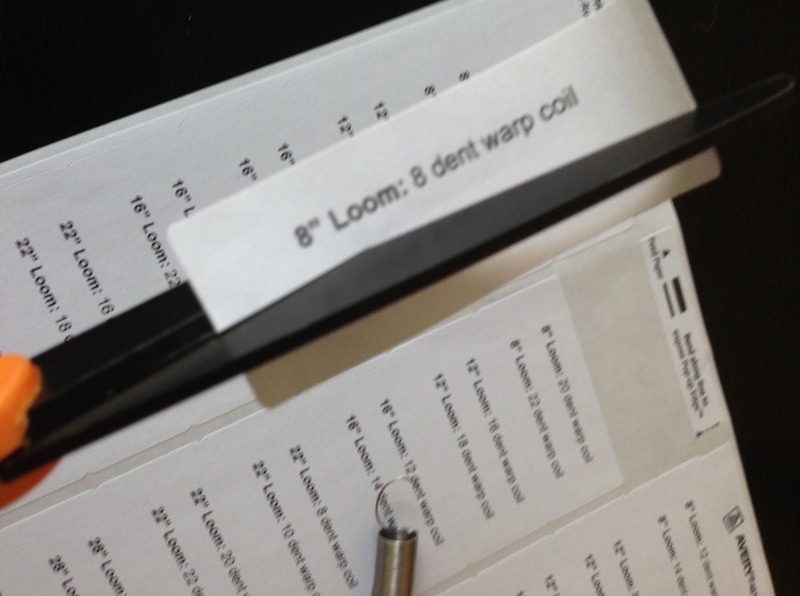 FREE Warp Coil Label Template: Label Those Springs! When you have more than one loom and a bazillion sets of warp coils, it can be a pain to find a warp coil you want when you want it. Instead of struggling with this every time they warp, a lot of our smart customers label their warp coils so they always know which one is which. I’ve made a printable template to make labeling your own warp coils easier! You probably already know what size loom you have, but if you’ve forgotten, measure the top beam in inches. That number is your loom size. 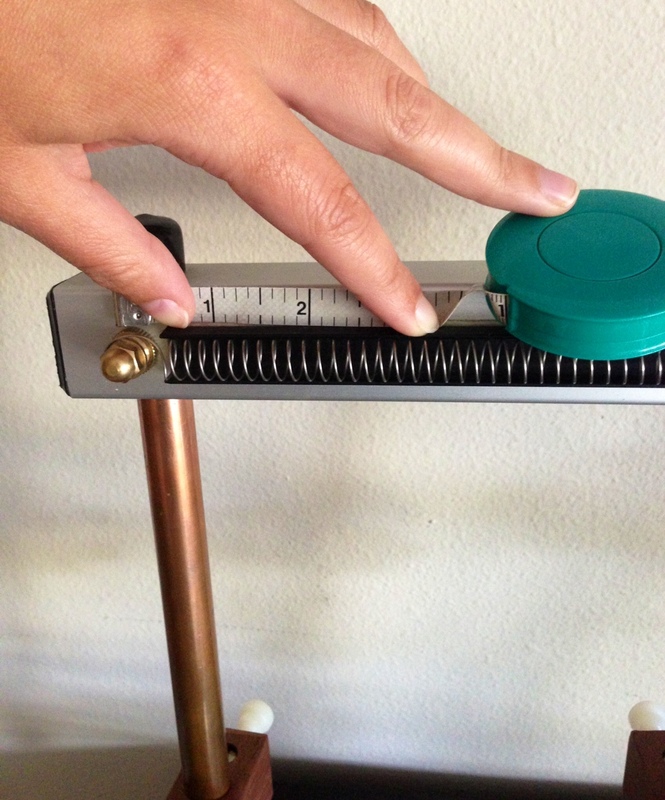 To determine what size each warp coil is, place your coil on your loom and measure an inch. Count how many dents (spaces in the spring) there are in that inch. That number is the size warp coil you have. If you have more than one loom and you’ve mixed up your warp coils this can be a more difficult process. If you get a non-standard number, you may have a warp coil on the wrong loom! Step Two: Pop by your local office supply store and grab some standard sticker address labels. I used an Avery template number 5160. 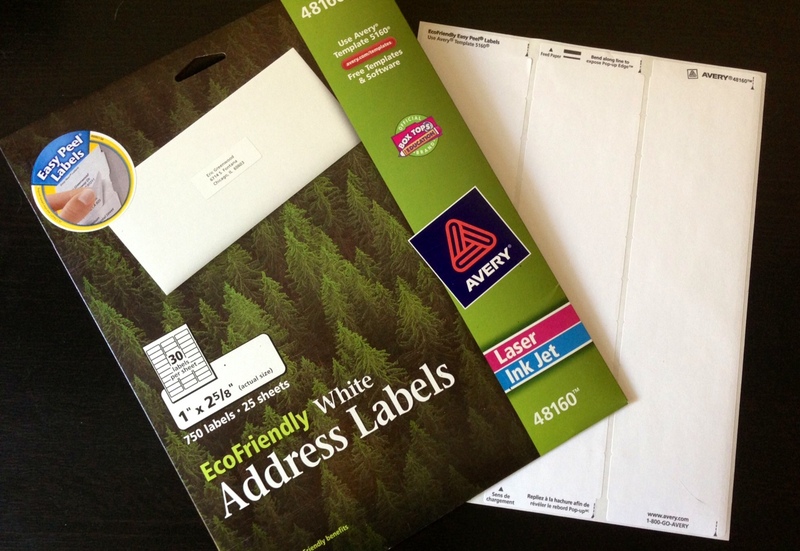 This size is very standard, though, so it should be fine for other brands as long as they have 30 address labels. Step Three: Download my template and edit it for your needs. You probably don’t have every loom and every coil, and may have a bottom spring kit so you have more than one of certain coils. 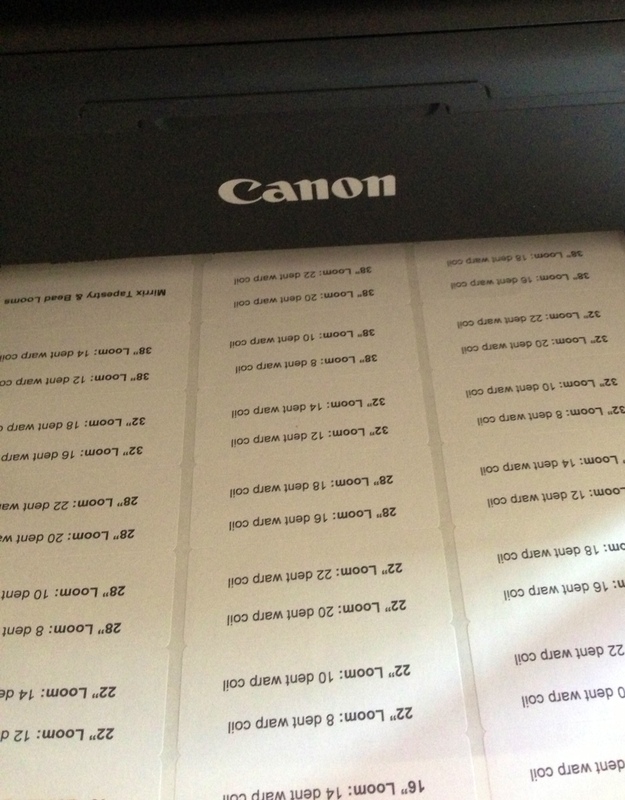 Edit the template in Word and print it on your sticker labels! 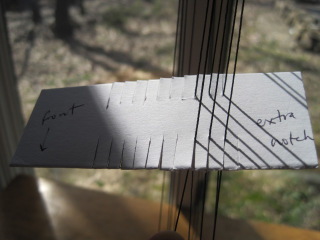 Step Four: Cut each label in half and place each label on the end of the corresponding warp coil. I found folding a little end over the end of the warp coil and then folding everything in half worked best. Step Five: Bask in your organizational skills. 1. 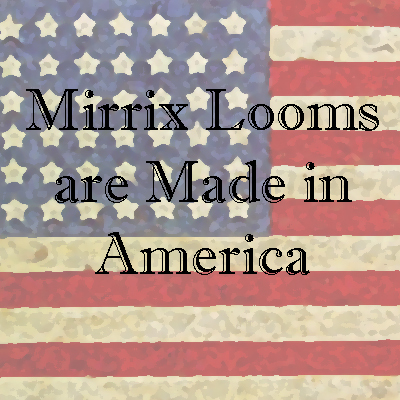 Mirrix Looms are made in America. Our amazing manufacturing facility employs people with special needs and/or disabilities right in the heart of the USA in Door County, Wisconsin. 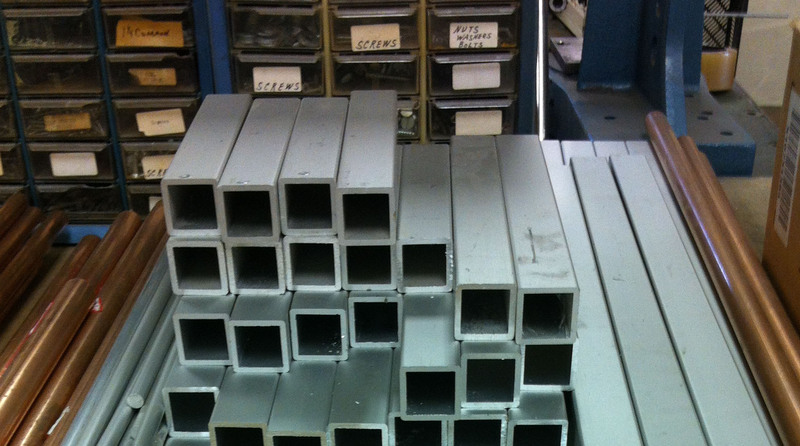 Learn more about our manufacturing facility here. You can feel good about where Mirrix Looms are made! 2. 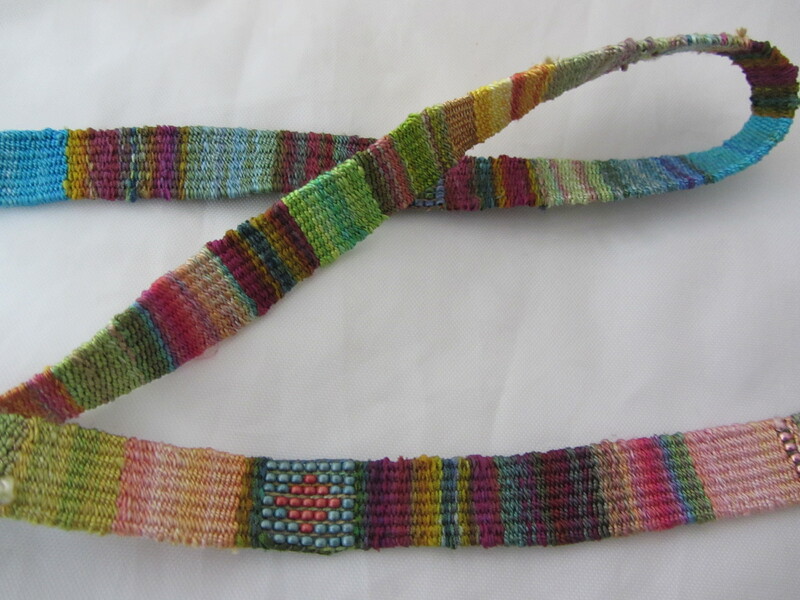 Weaving is the perfect summertime activity. 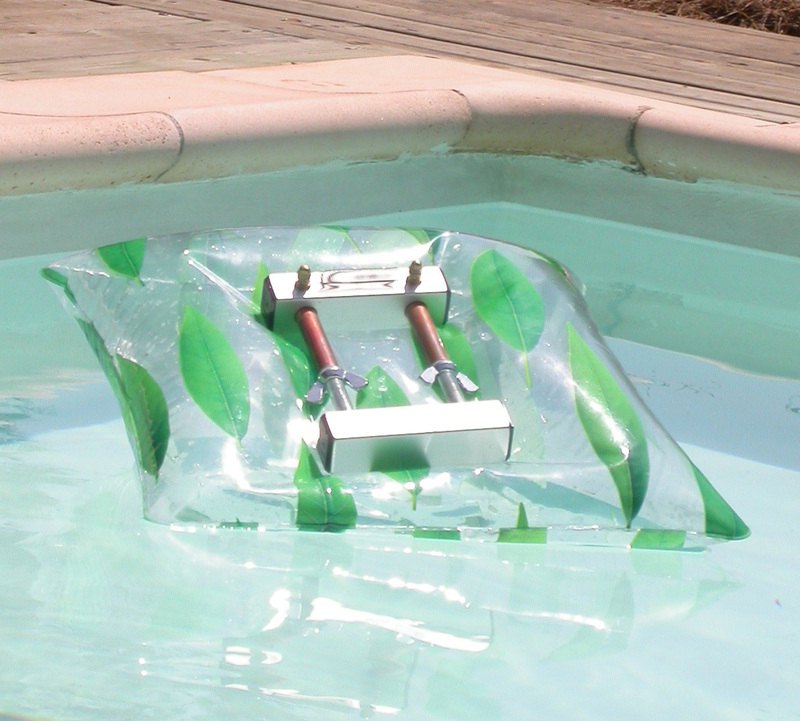 Take a seat in the shade and grab your portable Mirrix for some me-time! 3. 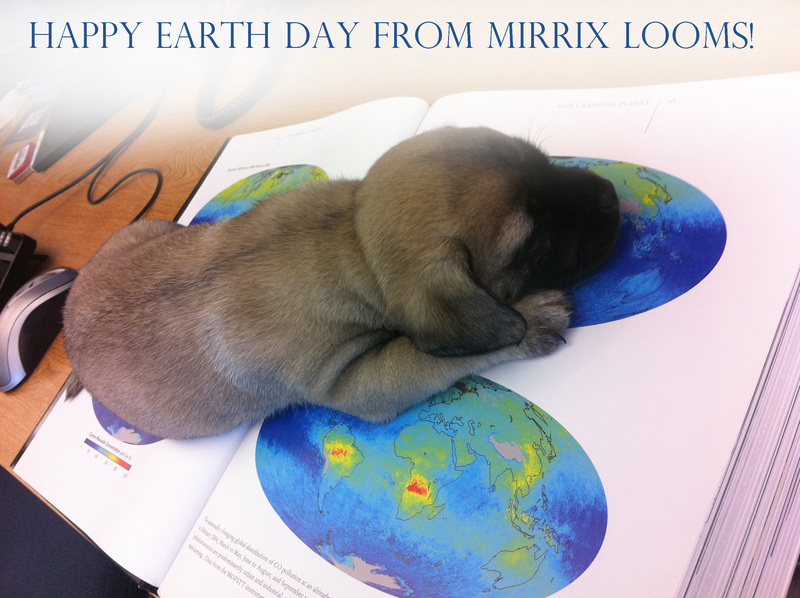 Mirrix has free projects with detailed instructions available to everyone! 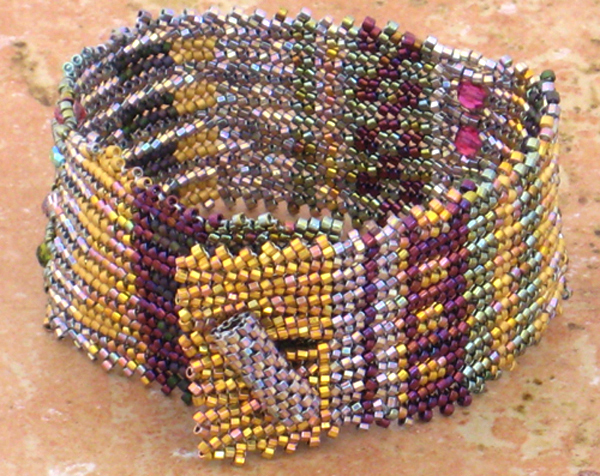 Click here to download instructions for our famous Tapestry/Bead Cuff Bracelet or our wonderful Affinity Bracelet. 4. You can get a head start on making gifts for friends and family. We haven’t yet found anyone who hasn’t fallen in love with our newest bracelet kit! 5. 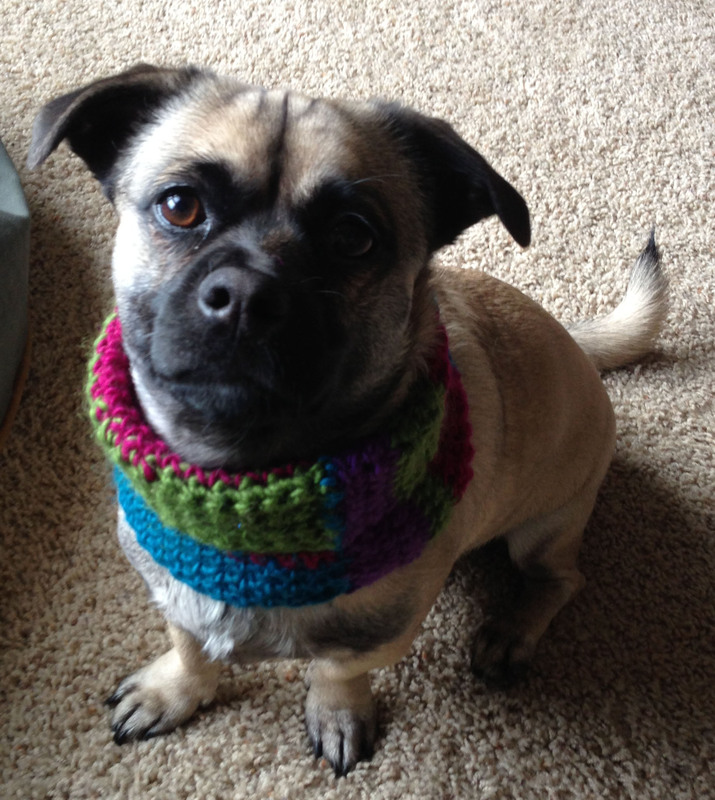 We offer FREE bead patterns to our customers! Download one today. 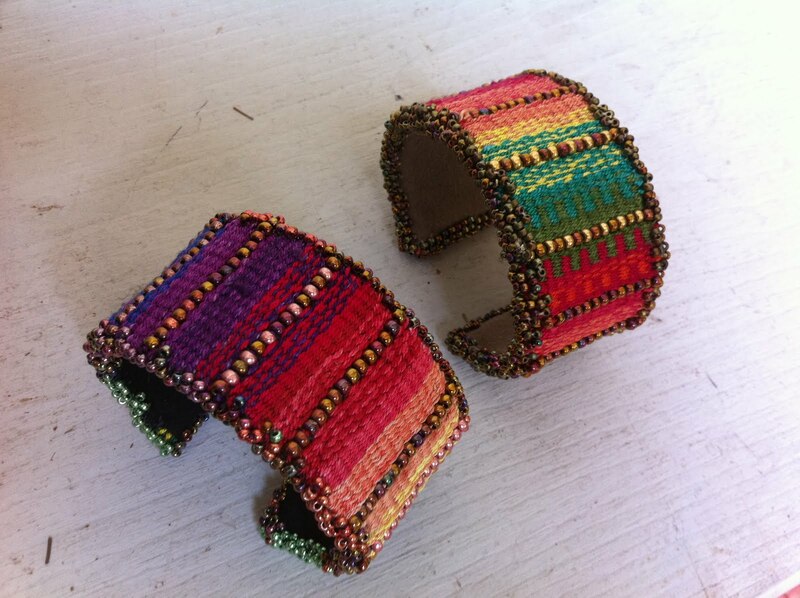 One of my favorite parts of my job is seeing what people create with our looms. 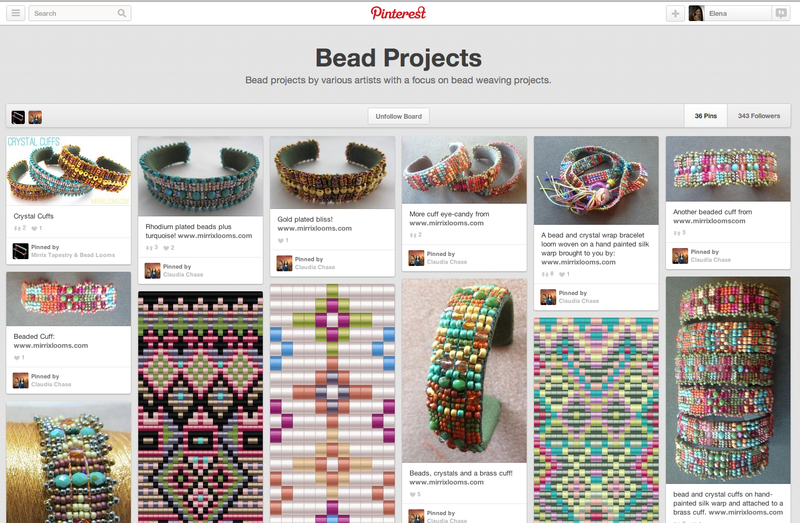 From simple jewelry pieces to lavish tapestries, we constantly see amazing and inspirational work. 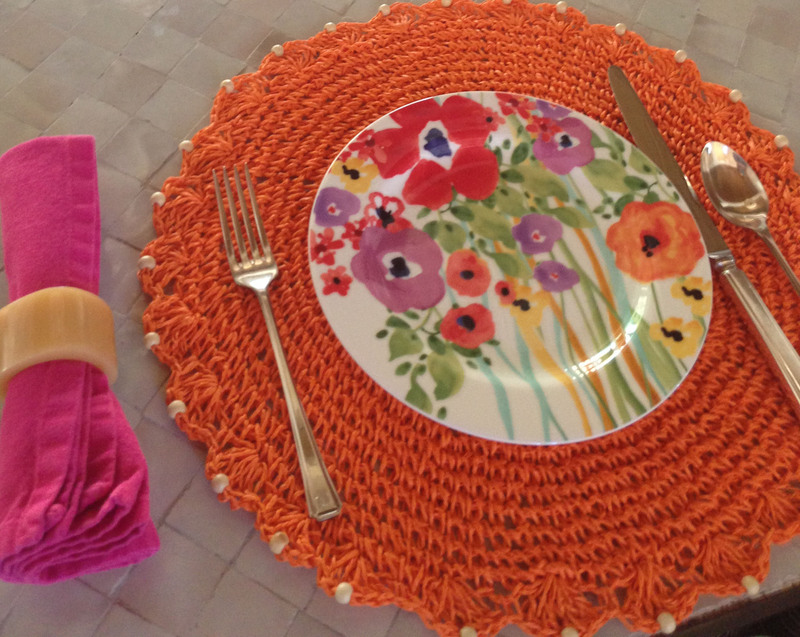 It’s also neat to see the creative ways people use our looms. One of my favorite innovative uses for a Mirrix is seen in Anthony Locane’s work. 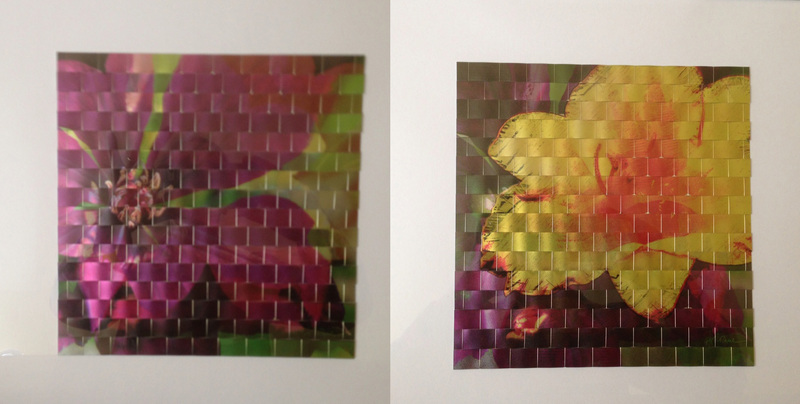 Anthony weaves with wire warp and printed metal weft, creating gorgeous and fascinating pieces. You can read Anthony’s 2011 guest post on our blog here to learn a little more about what he does. Be sure to visit his website as well! In October of 2012 Anthony’s studio was hit by hurricane Sandy. 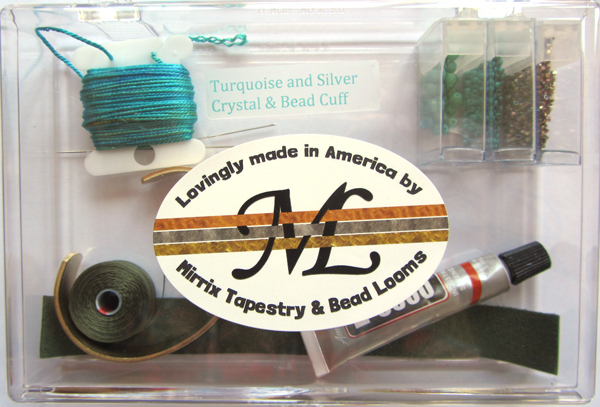 His looms were damaged, but even a hurricane can’t keep a Mirrix down (with a little TLC, of course)! In digging around a little, we found a NYT article about Anthony and the hurricane. 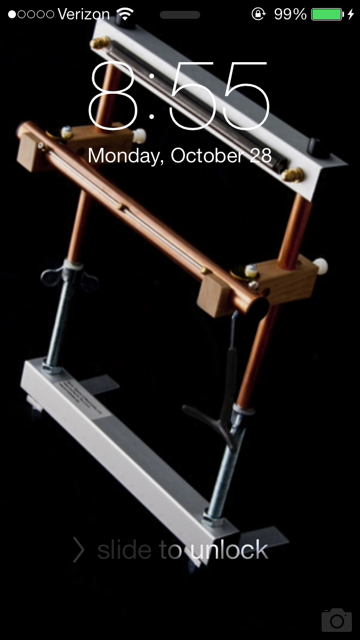 If you scroll a bit, there’s a picture of one of his pieces on a Mirrix (although you can’t see the actual loom). Fortunately, it looks like Anthony is getting everything cleaned up and his looms are currently being restored. Recently Anthony sent Claudia and me each one of his fabulous pieces of art. We ADORE them and are so grateful for his kind gesture. Have I said before that we have the BEST customers in the world? Check them out (below)! It seems like many products these days aren’t built to last. We buy things knowing they’ll only work for a few years and then we replace them and start the cycle over. We’re all aware that this isn’t a great system, for our wallets or for the environment, but a lot of the time there isn’t much we can do. This morning as I struggled with a broken (AGAIN) espresso machine, I thought about this and reflected upon the seemingly-outdated concept of quality workmanship. As I sat down at my computer with my half-made cup of coffee (the steamer is broken, I really craved a soy latte) and began checking my emails I realized how proud I am to be part of a company that makes products the old fashioned way. Each loom is hand-crafted by our wonderful employees at our manufacturing facility in Wisconsin and meant to last not one year, not ten years, but a lifetime. 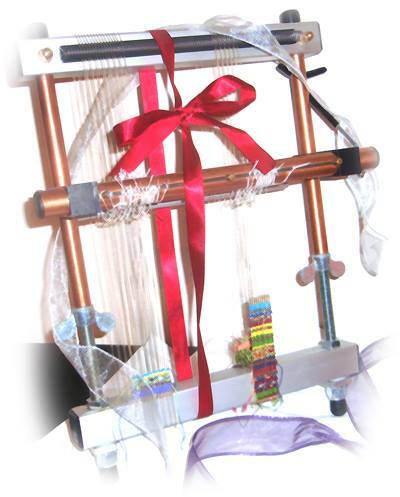 You may need to replace a spring or a clip, but a Mirrix Loom should be able to be passed down from generation to generation. That means no broken looms in the trash can and no need to buy another (unless, of course, you want more than one). 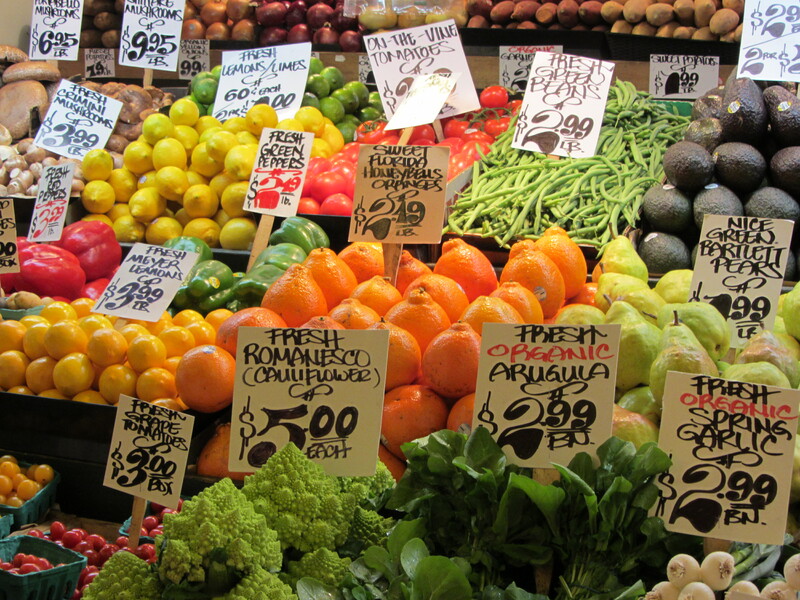 And that’s how it should be, for our earth and for our wallets. This post is inspired by a comment to the last post by “Andy.” Andy and I met in college. We shared a room (poor Andy!). At that time I was a wannabe weaver. Yes, I had woven a scarf and a few other random things on a rigid heddle loom by the time I hit freshman year. I had also done some needlepoint. But I was lacking good tools, good materials and, most of all, guidance. 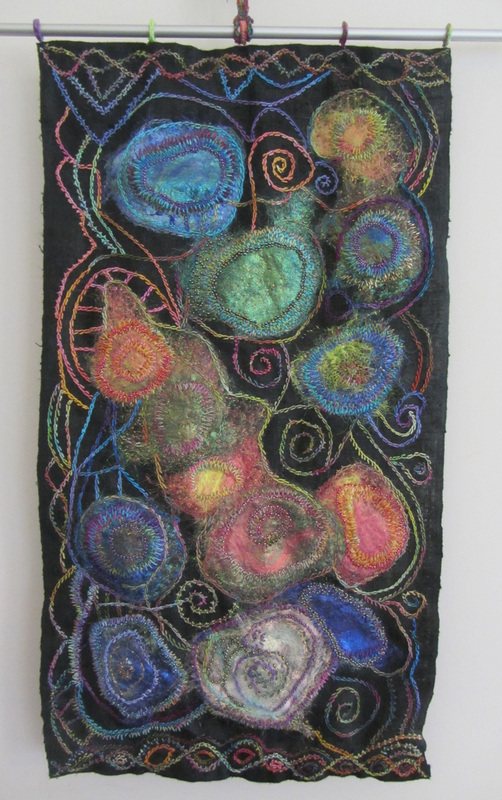 It was a weird period in time in relationship to fiber art. We were past the point where a mother routinely passed on all the skills she learned from her mother to her daughter. They were no longer important. 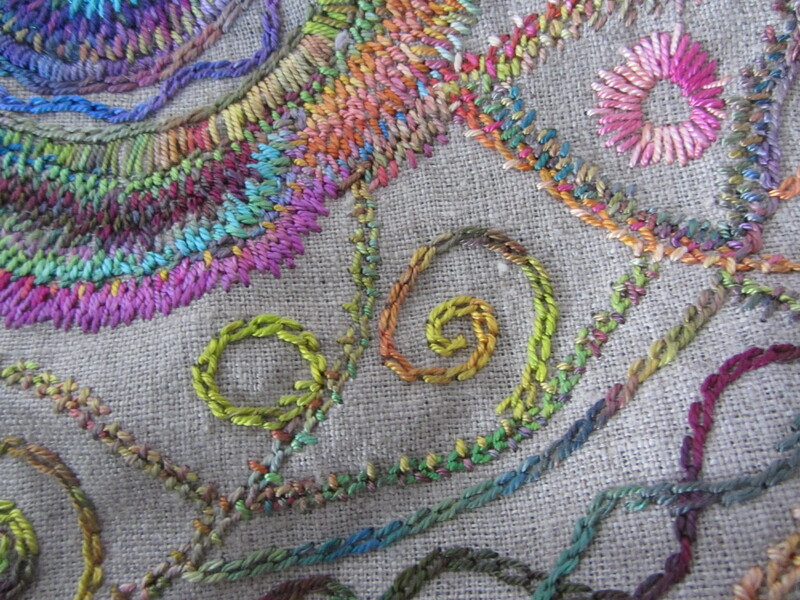 I did not know one girl who learned how to form perfect letters with thread on a sampler. Those things were seen in history museums under glass. It’s what girls did in another time, another century even, sitting in front of a fireplace making lace for her sister’s wedding gown or making a sampler to learn how to correctly use a needle. I suppose someone my age somewhere was learning how to knit or crochet but I didn’t know her and I don’t remember anyone wearing a sweater she had knit. Although, I do remember that my mother knit three adorable red sweaters for each of her three little kids. Each had our initials sewn onto it. And yes, they were lovely. And since I was the youngest I ended up wearing the other two sweaters as my brother and sister our grew them. My initials went from CAC to WSC to PEC. My grandmother knit a beautiful afghan that lived on our couch for as long as I can remember. We must all have memories of a hand knitted afghan covering the back of the couch. Now my couch is decorated with my hand knitted afghan, but I don’t think it’s now a common sight. 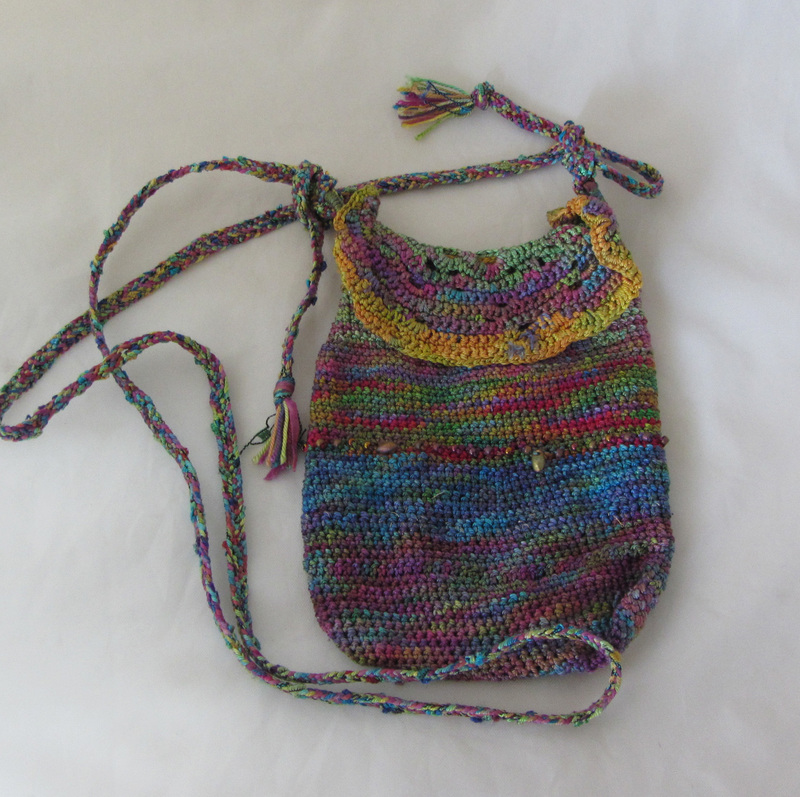 My first encounter with fiber and creativity came from my aunt. Her husband was an artist. He created abstract art, which I loved. I didn’t realize at the time why I was so attracted to abstract art. But now it makes sense. I am not a realist in any sense of the word. I like dividing the world into shapes and colors. It’s how I see it: I break the world down into blobs of intersecting color. My aunt did needlepoint. My uncle painted the canvas for her and she turned it into lovely pillows. So many pillows filled with blobs of color. I was in awe. My parents returned from a trip to Paris with needlepoint kits for both my sister and me. 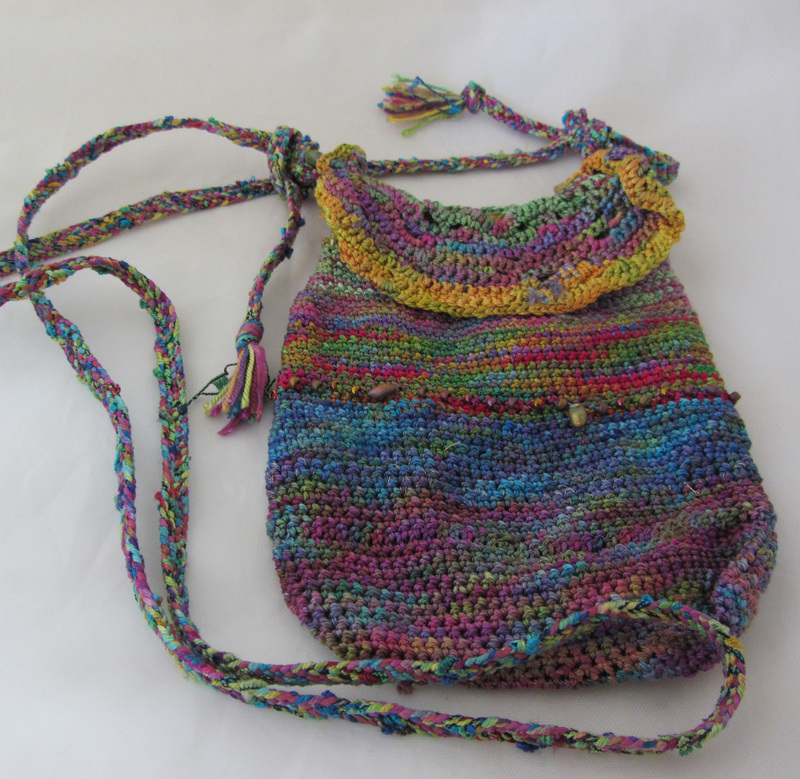 Each kit contained three little squares with printed pictures and yarn. I filled in the first square and turned the other two squares upside down and “did my own thing.” I am sure my own thing was pretty awful. I don’t have these squares anymore. At some point my aunt gave some of her needlepoint supplies to my sister since my sister was the acknowledged family artist. All for good reason. She was (and is) amazing. I have rarely in my life met anyone as good as she is at art. Some of it was realistic, some of it was fantasy. But the fact was: she could draw anything and she drew all the time. In that world the tools for drawing were readily available. All you needed was paper and a pencil and pen. But creating needle art or weaving was not so easy because the tools were not “just there.” Anyway, my sister got the canvas and the yarn and she had absolutely no use for them. I took them. They were meant to by mine! I made quite a few things from these materials which all became gifts for my mother. When I was ten I received a rigid heddle loom for my birthday. I had seen it at Macys. Yes, Macys! It must have been in the homeware’s department. 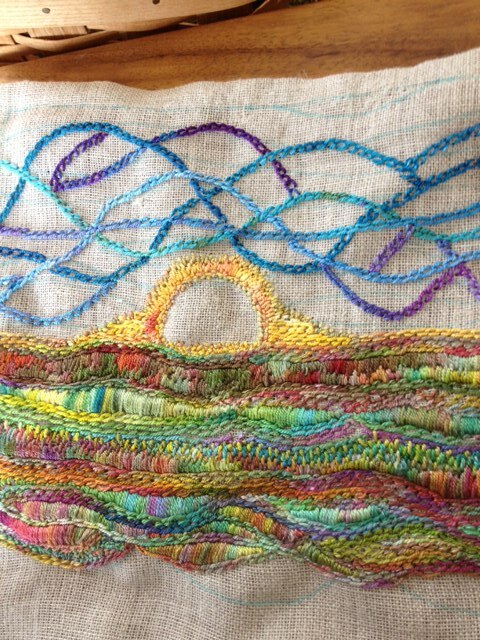 I wove a couple of scarves on the loom and backings for my needlepoint pillow creations. And I knew I wanted to weave. But I still didn’t have the materials I would need to find out what that really means. When I arrived at college and met Andy, I knew I was a “weaver” but I also knew I was a fake because my experience was mostly contained within my imagination. I went to Andy’s home during a vacation and met my first real large weaving loom. Andy’s father had built it for her sister. It was gorgeous. I don’t think it was complete at that point and I know it had not yet been used. There I was “the weaver” and I didn’t had the first idea of how one would use that enormous, complicated loom. I was still a “weaver” in my head but the reality seemed far away. A few years later my brother found a loom in California where he was living. It was a small four harness table loom. He sent it to me. Without any knowledge of how to set up such a loom, I set it up. Somehow I got it to work. I remember taking my food money to explore Ottawa (I was attending my last semester of university there) and find yarn so I could use that loom. 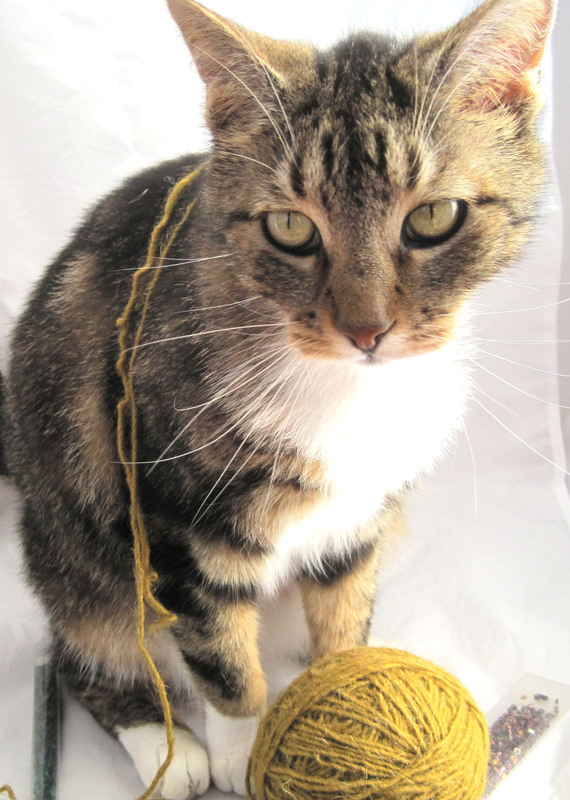 I lived in a dark, cold apartment and the only color I saw that winter was in the yarn I was weaving. 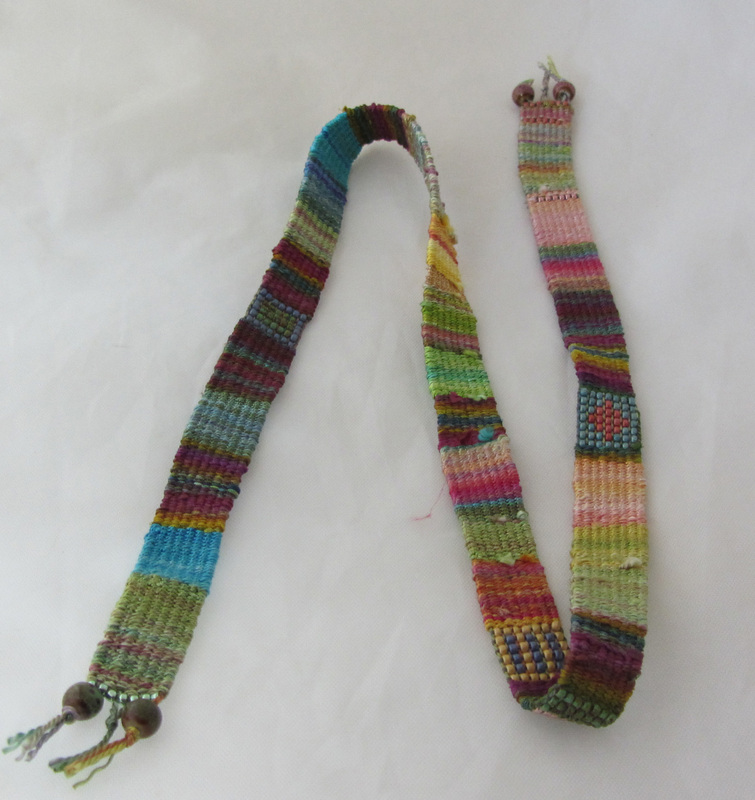 It wasn’t until I had my first child (Elena) that I set off to explore weaving. I discovered immediately that I was not a weaver of cloth, that my large floor loom would not be like Andy’s sister’s. 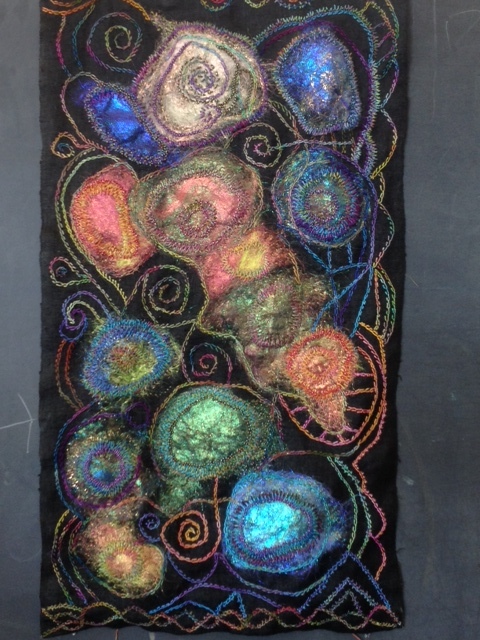 I found out I was a tapestry weaver. That seed had been planted when I was 19 and had seen the Unicorn tapestries at the Cloisters in New York City. I was in awe. I stuffed those images in my brain and thought I would never really understand how such things were made. And then I learned on my own for the most part how tapestry is made. I wove my first tapestries (for two years) on a rigid heddle loom before I bought my first second hand tapestry floor loom. My creative life exploded with the purchase of that loom. 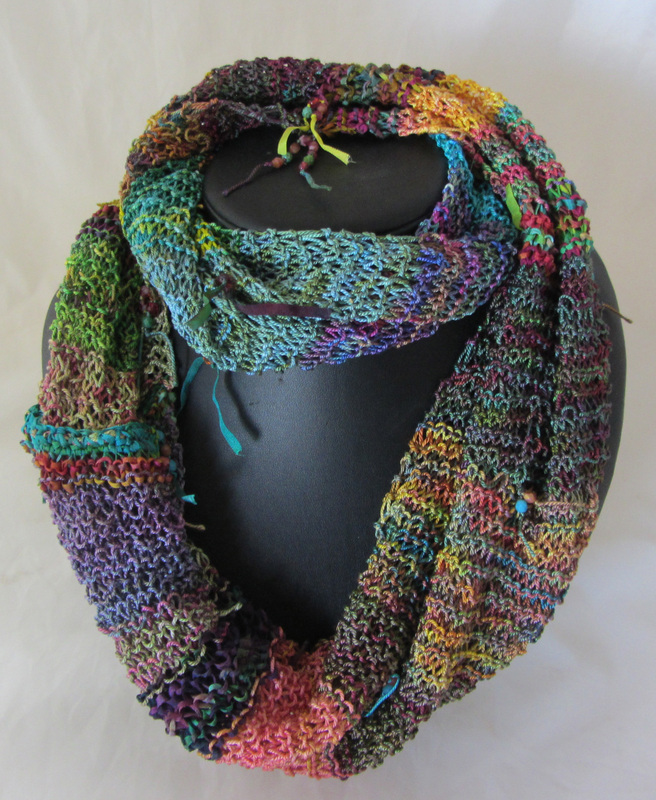 Soon after I was teaching myself how to dye yarn so I could get exactly the colors I wanted. That was followed with learning how to spin. I could not be stopped! 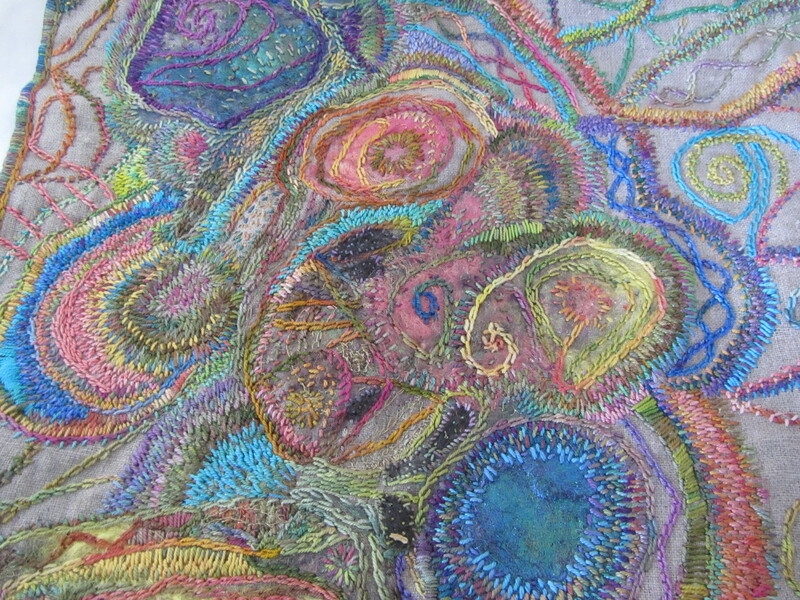 I am now surrounded with materials and tools to feed my need to create art from fiber. 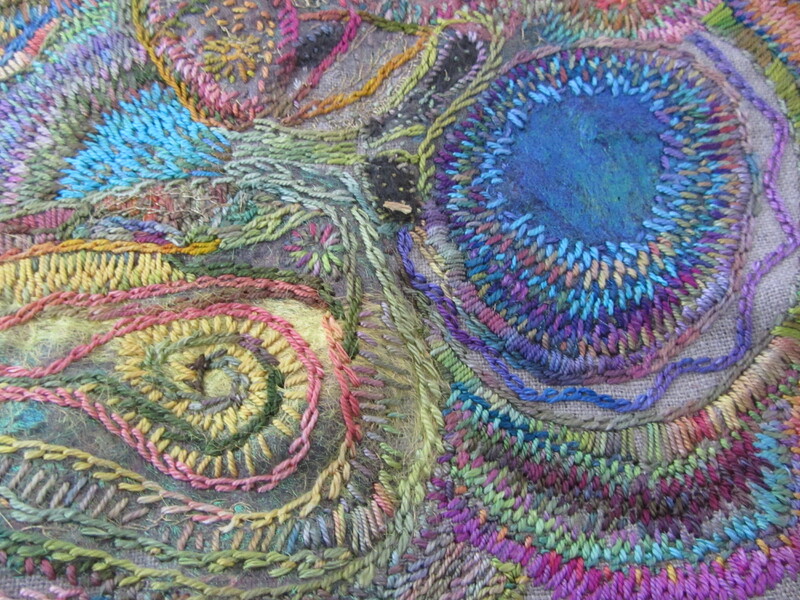 And these days, things have changed so much for the fiber arts. First of all, we’ve got that word “art” following the word fiber. It’s been given weight that it did not have. It’s no longer a thing women do to pass their time. I guess I was born at exactly the wrong time. 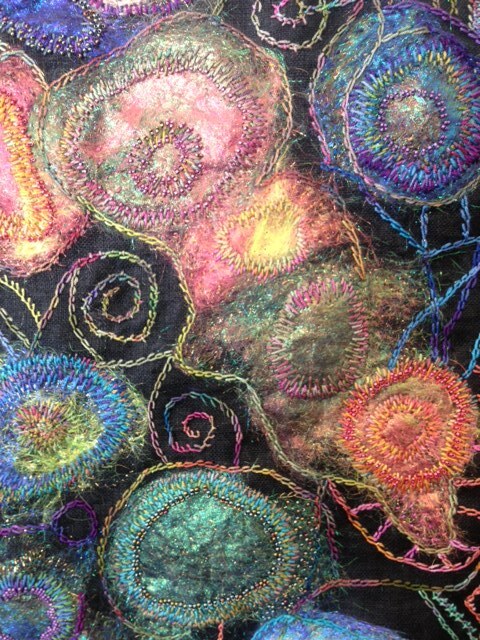 Access to the right materials and tools is essential to create fiber art. I can now get whatever I want, whatever I need to create what is in my head. I am surrounded by inspiring materials. I feel very fortunate to have arrived at this place. 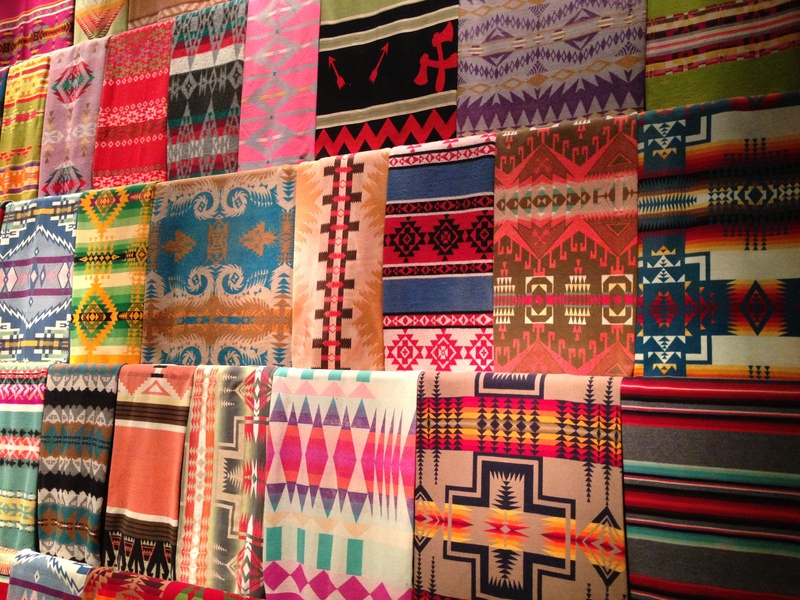 And I realize that when I told Andy I was a weaver, I really was a weaver, but mostly in my head. 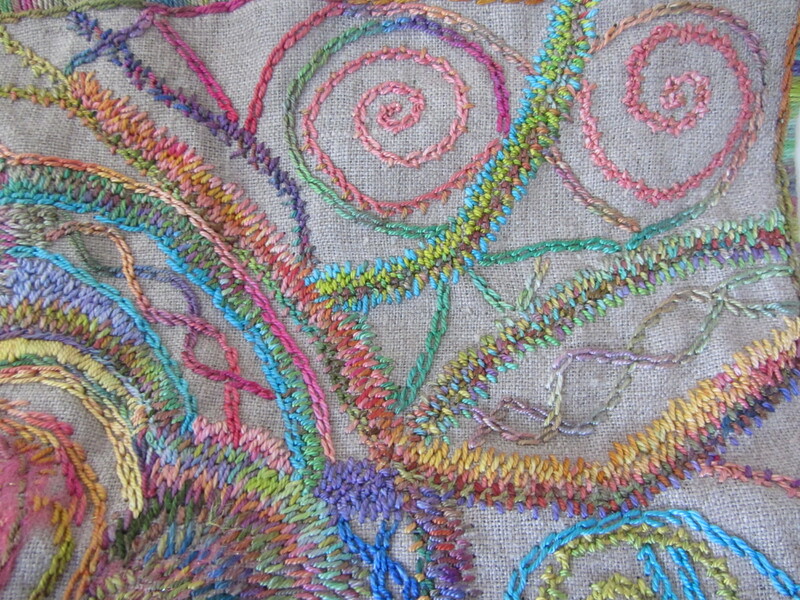 Now I am a weaver among other things and I have allowed myself to put that in the center of my life. It is a focal point. It’s kind of a relief because I could just as easily have passed it while heading somewhere else in my life. Or maybe not. Maybe the pull toward it was so great I would never have passed it. But how lucky for me that it is both my hobby and my work and I can indulge it every day. 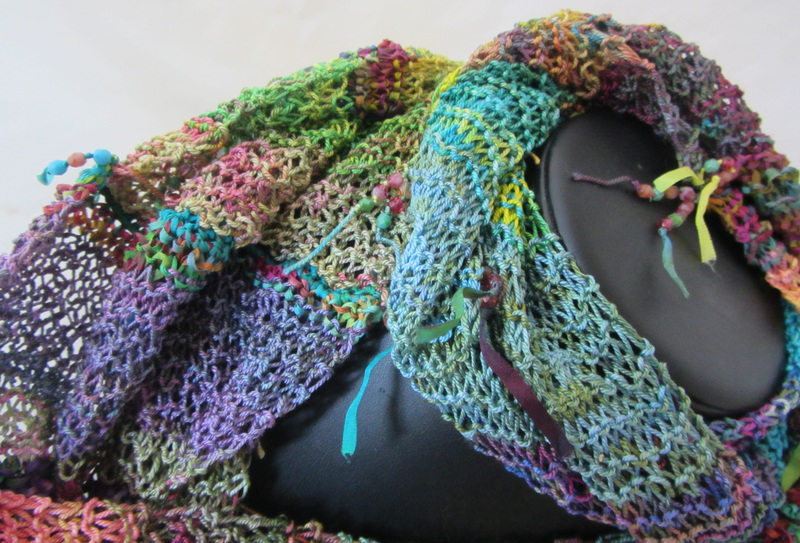 I have made it my lifelong goal to give this gift to others as I continue to explore all the aspects of all the fiber arts on my own. I forgot to mention that when Andy and I were room mates in college I used to demand she pick up her guitar and play and sing for me. Poor mundane Andy, the gifted musician!